GlaxoSmithKline is one of the largest pharmaceutical companies in the world. It is an enormous global corporation which was created when two giants - Glaxo Wellcome and SmithKline Beecham merged in 2001. The UK based company employs more than 100,000 people at 24 sites across the world and in 2002 had a turnover of more than £20bn. According to Oxfam, the company is responsible for 26 per cent of all vaccine sales in the world and 17 per cent of anti-biotics. As well as making well known pharmaceutical products like Seroxat/Paxil and the HIV/AIDS treatment Combivi. GSK is also a giant in other fields. Among it's other corporate brand is Aquafresh Toothpaste, Nicorette, Horlick's, Lucozade and Ribena. The company has a rich history, with SmithKlineBeecham tracing its roots back to 1715, to the Plough Court Pharmacy in London. Glaxo Wellcome was founded in 1929 by Alec Nathan after he discovered that the dried milk 'Glaxo' was the cause of ricketts in children. Naturally, their first product was a vitamin D concentrate which would replace those vitamins lost in food drying. 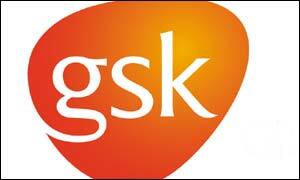 GSK says its mission is to improve the quality of human life by enabling people to do more, feel better and live longer.